The latest in our regular series looking at hot topics. Deliberately provocative, we're trying to start a debate. This time, we need to talk about... advertising. A couple of recent newspaper articles condemning protection providers for being harsh on claimants, raise the issue of promotion once again. Reacting to the negative articles, spokespeople are quick to point out we pay 97% of claims, and that the “nasty” media should write some positive stories for once. But it’s not the role of the media to do our marketing for us. Even if we paid out 99.99% of claims, someone would still write about the 0.01% we declined. We need to do more to promote our products to a wider audience, and that means advertising. Nearly a decade ago, Tom Baigrie collected the marketing directors of most protection providers into a conference room and asked them to put their hands in their pockets and fund a generic TV advertising campaign. Despite a sterling effort on Tom’s part, the Consumer Protection Insurance Engagement Campaign (CPEIC) campaign floundered around the usual objections. It costs too much. The big providers will benefit more than us. TV advertising is dead. Since then digital marketing has revolutionised communications. As our Q1 Big Read shows, video, audio and other digital content is no longer restricted to those with big budgets. Anyone could put together a campaign using nothing more than a mobile phone. It might not produce a BBC quality show, but it could be done. Maybe it’s time to think about CPEIC2? 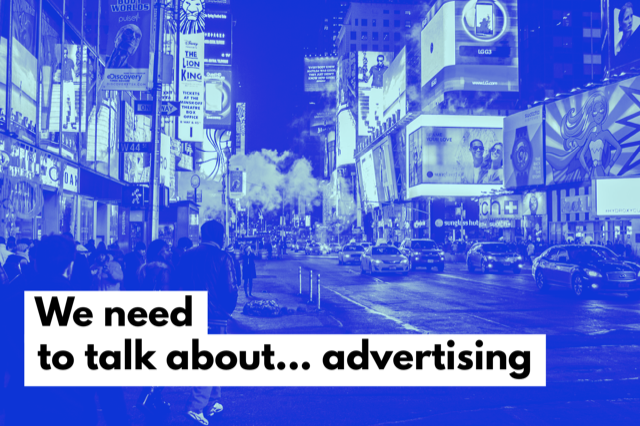 We wouldn’t even need to think about TV advertising, which is still expensive compared to the marketing budgets allocated to protection providers. And we know most people use their SkyPlus remotes to fast forward through the adverts anyway. But what about a series of clever videos, produced in-house at reasonable cost, maybe with a witty or edgy vibe, backed by well targeted Facebook and Instagram advertising? We could achieve this at a fraction of the amount Tom was demanding 10 years ago. Facebook and Instagram ads are massively underpriced at the moment, so why don’t we take advantage of this? Should we get together and plan CPEIC2? Anyone up for taking it on? Only thing we’d ask is that we gave it a snappier title this time round. What do you think? Leave a comment or let us know on social media.